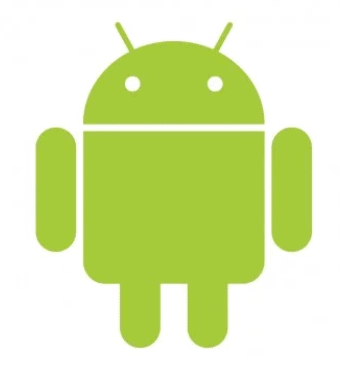 ADB stands for Android Debug Bridge and is very useful tool. It is also known command line tool. By using this tool, you can control your smartphone from your computer. There might occur some situations where you need your smartphone to be fully controlled from your computer, in that case you need ADB drivers to be installed on your computer. There are different types of tasks, you can perform using ADB tool like unlocking bootloader on your smartphone or flashing custom recovery. You can also back-up your important data. These all tasks can be performed using commands. Go to developer.android.com and then click on “Download options” located under the button “Download Android Studio”. After clicking on “Download options”, simply scroll down and you will see the “command Line tools only” section. Then you need to select SDK tool there and download it. When the download gets complete, launch the SDKmanager.exe and then check the “Android SDK platform tools” options only. After clicking on install button will start the process. Wait for it to complete. Navigate to “settings” on your smartphone. Then go to “About phone” option and then locate the “Build num” option and tap on it several times until you see the message: “Developer option is enabled”. Connect your smartphone to a computer and then go to the folder where you have installed the SDK tools earlier. Then simply open the command prompt by selecting “run as administrator” option. 6. If your smartphone is successfully connected to your computer, then the model will appear in command window by typing the above command. If it does’not appear, then simply download and install the specific USB driver for your device and check. Open the “My computer” or “This PC” and the right click anywhere in the whitespace and select the “properties” option. In system window, click on the option “Advanced System settings”. In System properties windows, click on the “environment variable” option. In environment variable window, under “System variable section”, click on the “New” button. Then in variable name, type the “name” of the path. It could be any like “Path”. In Variable Value, type the complete location of the ADB folder. For example “C:\Android\platforms-tools” or go to the ADB folder where it is located and then copy the location from the address bar and simply paste it in the “Variable Value” field. adb logcat This command can view the log from your Android device. 2. This command will reboot your device. 3. This command will reboot your device to bootloader. 4. This command will reboot your device to recovery mode. Above are the simple methods we want to share with you in order to download and install ADB. If you have any problem, then let us know in the comment section.